Barca cry foul as Madrid ban halved! Real Madrid have had their transfer ban lifted and shortened by half, so they will be allowed to sign players in the summer transfer window, a legal decision which left Barcelona president confused at the proceedings. 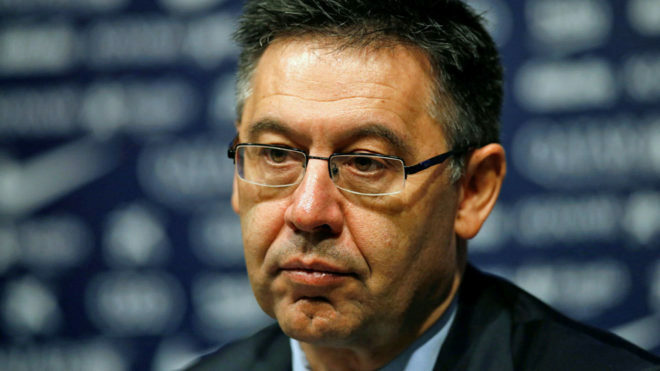 From the Catalan club’s perspective, this hints at differential treatment for what should have been the same verdict and is sure to anger the institution, the board, and its fans, meaning it is now Bartomeu’s responsibility to investigate matters further. “Barcelona and Real Madrid had the same lawyers, so I demand an explanation,” the president said shortly after the news broke. “I don’t know Real or Atletico Madrid’s cases in detail but I have no problem in consulting our lawyers since they were similar cases. “This legal uncertainty must stop, and I doubt that all of the player’s agents were wrong at the same time.